Most likely leaving campus either by Uber or Lyft for spring break and expecting to pay a lot of money to do so? Then check out this proposal for new transit options. Currently, Middletown is nearly inaccessible by public transportation. Prospective and current students, families, and employees need to drive to and from campus. Uber, Lyft, and Zipcar are unaffordable options in many cases. With Connect Middletown, we seek to change this. Recent public transportation projects in Connecticut, like CTFastrak, have provided an affordable means of transportation in a state that heavily relies on car ownership. Middletown’s public transportation needs to be improved by allowing greater access to the region though principles of transportation equity. Transit equity represents an affordable, time efficient transit system that is environmentally, socially and economically sustainable. Running an M-Link Express route that stops at Middlesex Community College, Main Street, Wesleyan University, Meriden Rail Station, and MxCC@Platt campus via Route 66 to I-691 will take around 32 minutes without traffic. From Wesleyan University, the M-Link Express trip to Meriden Station will take around 15 min via Route 66 to I-691. This proposal for an M-Link Express to launch in conjunction with expanded rail service in Meriden will make the trip time to New Haven Union Station from Middlesex Community College take approximately 54 minutes with public transit (27 minute bus, 27 minute train), compared to the average 45 minute drive to New Haven. The M-Link Express will also make it faster and more affordable to travel to all the towns and cities that are served by the commuter rail line. From Wesleyan University (Fisk Hall), the bus ride will take 15 minutes. From Middlesex the trip will take just under 30min. If this proposal is implemented, traveling to and from Middletown to commute and visit places in the region will be possible without the expense and hassle of car ownership, which is inaccessible to elderly residents, many students and low-income individuals. In addition, the frequent use of rideshare (Uber, Lyft) and taxi services are unaffordable and unsustainable for many students and residents in the region. CTRail Hartford Line is a new commuter rail line going from New Haven, CT to Springfield, MA, making a stop in Meriden. This service will run in conjunction with Amtrak service with 6 to 17 trips per day between New Haven and Hartford, with 12 of those trips continuing onto Springfield. According to the Connecticut Department of Transportation, CTRail will run every 45 minutes during the morning and evening peak hours, and approximately every 60-90 minutes during off-peak hours. Weekday service will begin at 6am and run as late as 11pm. Students who attend public colleges or universities in the state of Connecticut, pay a $20 transportation fee (per semester) for a “U-Pass” as part of tuition. The U-Pass allows students to get free access to any Connecticut public bus, including CTFastrak and CT Transit Express, or on Metro-North up until the train goes crosses into New York state, as well as access to the upcoming CTRail Hartford Line. For Metro North, students can take the New Haven Line for free up until Greenwich, CT, at which time they would need to pay $10.25 (one-way, off peak) for the rest of the trip to Grand Central. This saves students $7.25, from the regular price from New Haven, which is $17.50 (one-way, off peak). Students can pay for the rest of their trip via the MTAeTix app, available on Android and IPhone. The goal would be for Wesleyan University to get access to U-Passes. The question of how the U-Passes will be funded is still yet to be determined. 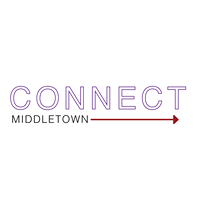 We also ask you take this 7 minute survey to help us understand how you get off campus and hear your thoughts on this proposal, so we can make Connect Middletown a reality! If you have any questions please email me at nkahan@wesleyan.edu and make sure to check out the facebook page for continuous updates. Also, if you are interested in urban planning, transit equity or are curious to see how you can help, please fill out this form.